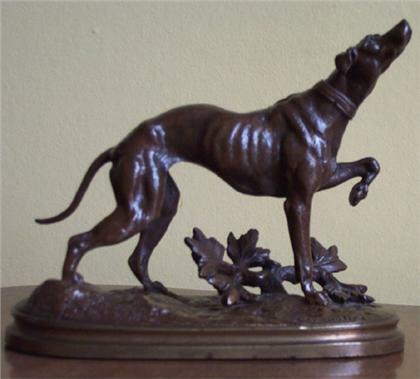 A Pointer, (we are informed it is probably a greyhound!) nose raised. Bronze, signed, mid-brown patination, 5 x 6 inches.